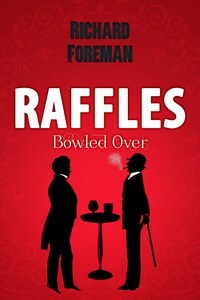 This brilliant novella will appeal to readers of the original Raffles stories, devotees of Sherlock Holmes, traditional detective stories, and fans of historical and cricketing fiction. The Raffles series has been widely praised. Richard Foreman is a literary consultant and publicist. He cut his teeth in the book trade as a bookseller, before founding Chalke Authors. He is the author of ‘A Hero Of Our Time’, a best-selling novel set in World War Two.